Moving to Rancho Santa Margarita? If your future includes a move in California, check out Meathead Movers! Our professionally-trained student-athlete Rancho Santa Margarita movers, moving concierge, and Princess Packers are prepared to get you safely moved into your new home. Moving to Rancho Santa Margarita signals a move from the hustle and bustle of daily life in larger cities to the relaxed pace of life in South Orange County. The city’s numerous planned communities provide a wide variety of amenities and conveniences. The city is located in the historic Rancho Mission Viejo area. 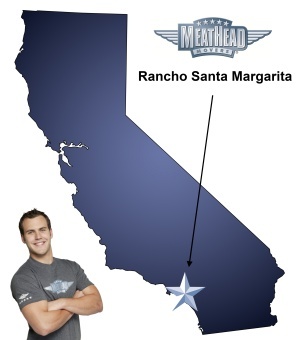 Meathead is proud to serve as your Rancho Santa Margarita movers of choice. Rancho Santa Margarita is one of Orange County’s youngest cities. The city provides various shopping and dining facilities against the backdrop of the beautiful Trabuco Canyon. A centrally located shopping center is a favorite of residents of the surrounding cities. There are ample opportunities to explore the great outdoors, with a variety of hiking and nature trails adjacent to the city. Residents can also enjoy a variety of outdoor activities in the Cleveland National Forest. The urban Rancho Santa Margarita Lake provides a great place for families to play and relax. The city is located close to major Southern California freeways. Residents enjoy easy access to some of the most famous beaches of Southern California via the freeway system and toll roads. Comprised primarily of planned communities, Rancho Santa Margarita tends to retain a quiet residential feel that sets it apart from larger cities in the area. At Meathead, we understand that you need Rancho Santa Margarita movers that you can trust. Our employees are clean-cut drug-free student athletes. They work hard to provide great customer service and to take care of your precious possessions. When not carrying your belongings, our movers jog to save you valuable time and money. We have over a decade of experience in executing commercial, local, and long-distance moves. In addition to our friendly and professional movers, we also offer a wide array of services designed to make the transition to your new home as smooth as possible. Our Princess Packers will take care of the tough work of packing for you, ensuring that all your possessions are carefully prepared for the move. Our free move concierge service offers you referrals to service providers in your new area. Moving to Rancho Santa Margarita should be as pleasant and stress-free as possible. Meathead is proud to offer a wide range of services to fit all your moving needs. Call us today for a free moving quote. Our professional, friendly team of Rancho Santa Margarita movers is ready to help you make the transition to your new home. Moving to Rancho Santa Margarita? Here are some helpful resources. Moving from Rancho Santa Margarita? View more Rancho Santa Margarita resources. Put a dent in a wall, did not have floor protection, chipped my front door paint pretty badly, and were not able to move my fridge after specifically being told they would be able to. The 3 movers were very nice and had great attitudes though which is why its a 5 and not lower. All of the young men who moved my things were all very helpful, respectful, and careful. Very friendly service. The movers were very efficient and careful with my belongings. They made sure to get everything done in as short a time as possible while making sure the job was done properly. The four young men that came to my house were very nice, energetic, hard working and a pleasure to work with. I will definitely hire them again if and when the need arises.